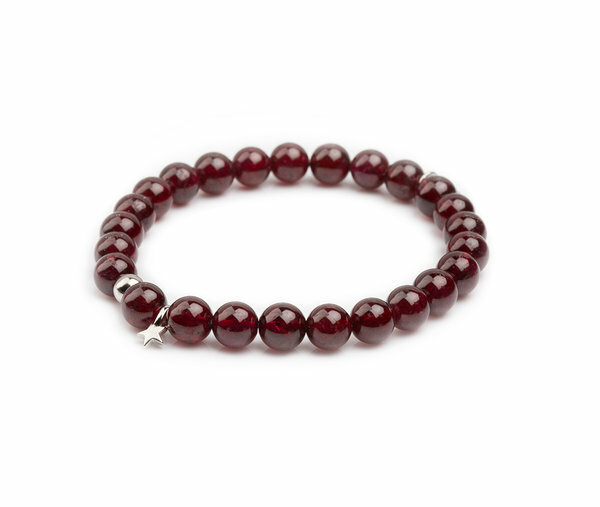 Deep red garnet bracelet with a small star, moon, or a heart pendant, to match your outfit. 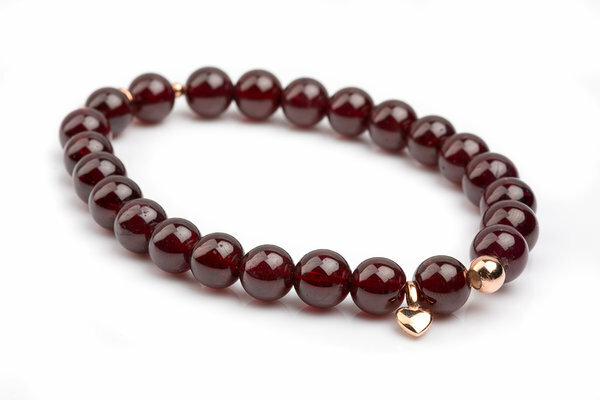 Available with golden or silver plating. 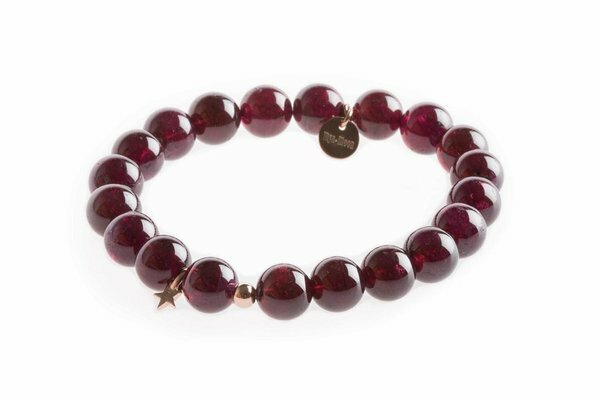 When ordering, let us know your the measure of your wrist, so we can customize the bracelet for you!